Today we are watching a movie “Andrei Rublev: The Passion According to Andrei” directed by Andrei Tarkovsky in 1966. The movie tells us about not easy journey of monk Andrei Rublev (the greatest medieval Russian painter of Orthodox icons and frescoes) during not easy time in Russia. But that is not historical movie the movie is just loosely based on the life of real Andrei Rublev. 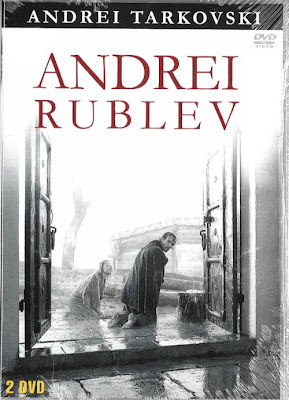 The movie Andrei Rublev is widely regarded as a masterpiece and one of Tarkovsky’s best works. “Andrei Rublev” belongs 100 the world best movies. But the movie is hard to watch and it has violent scenes. This entry was posted in Movie for the weekend on March 28, 2010 by admin. Guest From The Future (Russian Movie)! Today we watch Russian full-length movies with English subtitles. Today we will watch series for kids “Guest from the future”. This movie was made in 1985 and all school-kids in Soviet Union was in love with it and with the main character of this movie Alisa Selezneva. 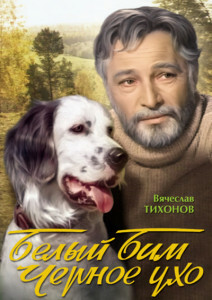 Movie was based on the novel “One Hundred Years Ahead” by Kir Bulychev. Alexander Sedov writes about “Guest from the future”. © Gorky Film Studio films, 1985. This entry was posted in Movie for the weekend on March 13, 2010 by admin. Russian Video: Grum (Groom) Shot Movie By Elem Klimov, 1960! 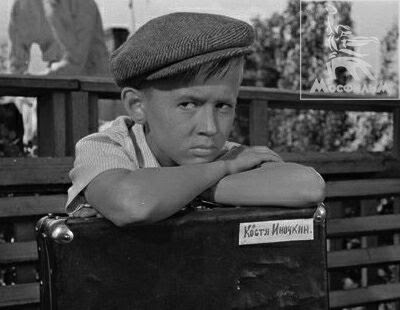 Recently, we watched a very good Russian comedy for kids No Holidays for Inochkin made by movie director Elem Klimov. And I already mentioned that Elem Klimov is famous as movie director who works with kids very well. Today, I want to show you one more of his movies. 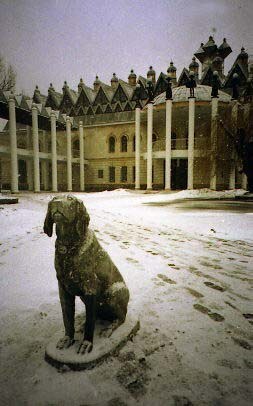 “Grum” (Жиних). Grom is misspelled Groom. The movie is silent so you understand everything. 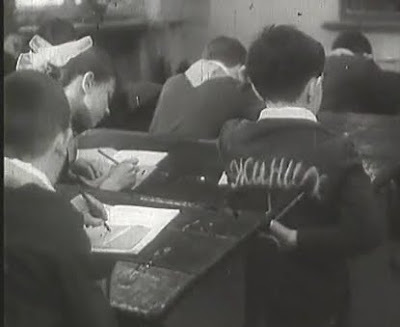 Pupils of elementary school have a math test. The teacher are bored and reading “Romeo and Juliet” by William Shakespeare. She almost does not watch the class at all, but we do! And we will watch almost Shakspear’s tragedy in this class of the kids. “Zhinih” was awarded the prize at the film festival of student films VGIK. The movie was a coursework of Elem Klimov when he attended VGIK (All-Russian State University of Cinematography). This entry was posted in Movie for the weekend on March 5, 2010 by admin. Russian Video: Kashtanka (Movie, 1975). Anton Chekhov recently turned 150! 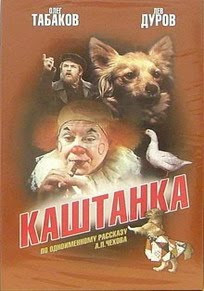 And today I want to show you a very interesting Russian movie made by a story of Anton Chekhov “Kashtanka”. 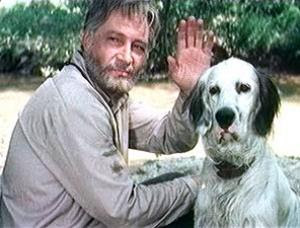 The movie “Kashtanka” was made by movie director Roman Balayan in 1975. Kashtanka a little dog half dachshund half mutt lived with a carpenter. Once she got lost and a circus artist found her and took to his home…. The movie is slow, you can learn a lot of details of Russian life more than hundred yeas ago, look at the life by little doggy eyes. I think this movie deserves to be watched even without English subtitles, but I recommend you also to read the whole Anton Chekhov story Kashtanka in English first. In this movie you also watch very good Russian actors: Lev Durov, Oleg Tabakov, Zoya Nedbay, Slava Borisov. This entry was posted in Movie for the weekend on January 31, 2010 by admin. Peculiarities of the National Hunt (Russian movie)! 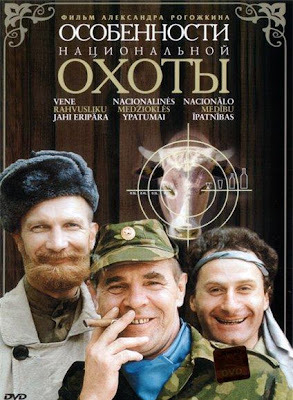 Peculiarities of the National Hunt (Особенности национальной охоты в осенний период) is a bright comedy of modern time (1995). Finn Raivo studies Russian habits and writes a book about Russian hunting traditions. He comes to Russian and to look at the hunting traditions closely joins a group of Russian men (Army general, a police detective, a local forest ranger (a devotee of Zen Buddhism) and some big-city types from St. Petersburg) who is going to hunt. And the comedy starts: You’ll see all stereotypes about Russia bears, bathhouse (sauna) and vodka, that will be too much, but if you have been in Russia you will think there is something from reality in this comedy or at least it could be or it could happened. This entry was posted in Movie for the weekend on December 27, 2009 by admin. 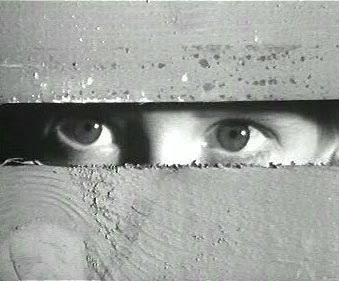 Through the Thorns to the Stars (Soviet Science Fiction Movie)! 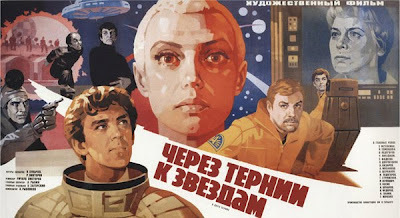 Recently Kyle and me watched an old Soviet sci fi movie “Through the Thorns to the Stars” (Через терни к звездам). I did not watch the movie since my childhood and now I watched it like the first time. I was so impressed by this movie and the actors job Sometimes their play seemed exaggerated but it did not irritate, we felt like in the theater and all character were so clear expressed on the screen. 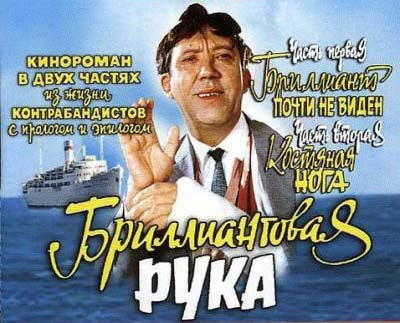 This movie made by Kir Bulychev novel looks like a dream, dream of community of future dream about people who has interesting job and enjoy this job a lot (and yes, in Soviet Union a lot of people lived like that). Sci fi plot was very interesting also. So I strongly recommend you to watch the movie. I was very pleased to read such opinion about this movie: Summing up I want to say this film is not a cheap entertainment as some comments here suggest. It is a very kind, heartful, gentle, touching and thought-provoking movie. It is about love – love to people, love to the Earth. Of course there is certain naivity about the film, but it only adds positive to its atmosphere. I see everything quite balanced in it. Some may see flaws in film’s imperfect setting (compared with “Alien” or “Star Wars” for example)- of course Holliwood was much more advanced in Sci-fi making (and a lot richer besides), than the Soviet cinema. But that does not seem too important. This entry was posted in Movie for the weekend on December 20, 2009 by admin.